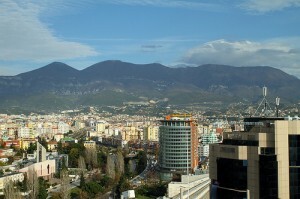 Tirana has a Mediterranean climate. The average temperature varies from a low of 2°C in January to a high of 32°C in July and August which are also the driest months, each with around 3 cm of precipitation on average. The wettest months are November, December, and February averaging between 15 to 20 cm. The main cultural and artistic institutions of Tirana are the National Theater, the Theater of Opera and Ballet, the National Gallery of the Arts (Galeria Kombëtare e Arteve), and the Ensemble of Folk Music and Dances. Another cultural event includes performances of reknown world composers performed by the Symphonic Orchestra of the Albanian Radio and Television. The city has been a venue for the Tirana Biennale and Tirana Jazz Festival. 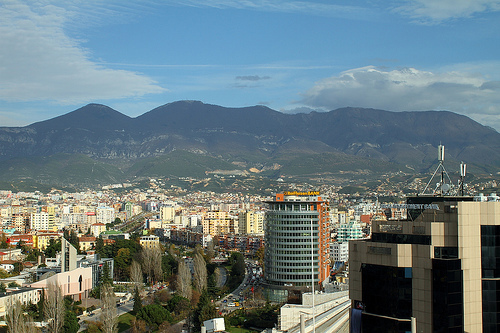 Tirana became capital of Albania in 1920. Just use the google map hereafter to get a clear idea where Tirana is situated in Albania and more generally in Europe. A map speaks more than 1000 words in this case. The Fortress of Pertrela It is located at south of Tirana on the right side of national road linking capital with the city of Elbasan. It was built up by the middle age. The castle was under the command of Scanderbeg sister, Mamica Kastrioti. The fortress of Preza, belongs to the XV century. It has a very nice and dominant position in front of Kruja mountain. The Mosque of Ethem Bey is situated just at the center of Tirana. It was constructed in 1789. Together with the Clock Tower ( 1830). they make a important historic part of Tirana. Ministries represents architectonic values. They were built in the year 1930, when Albania was a kingdom. After the Second World War several buildings were erected. The Palace of Culture, the Palace of Congresses, the National Historic Museum, the Centre of International Culture etc. The bridge of Tabakeve is situated along the boulevard “Zhan Dark”. It belongs to the XVIII century. Tirana is around 30 minutes by car from the civil airport ‘Mother Teresa’. Buses circulate regularly from the airport to the city center. Taxis or rented cars can be easily found at the airport.